True enough. Three and half years ago there was an Ebola epidemic that infected over 25,000 people and killed more than 10,000 in nine African countries. The official declaration of the epidemic came from Guinea in March of 2014 and Nigeria was one of the countries infected. The worst of the devastation was in Sierra Leone and Liberia—and the general consensus among Africans and African supporters abroad was that the response came too little and too late. And then The Mango Mussolini continued his address to the African contingent with this line of faint praise: “Nambia’s health system is increasingly self-sufficient.” Wait. What? I’m trying to imagine the thoughts that must have swept through the mind of Hage Geingob, the president of Nambia—I mean, Namibia—as his African compatriots in the room glanced his way to gauge his reaction. Was he preparing himself for the inevitable spotlight that would fall on him and his country in the days following the latest gaffe by President Business? Unless, maybe—oh, please let it be so—maybe there actually is a Nambia, a plucky little African nation in the universe next door, that has spilled into our consensus reality. 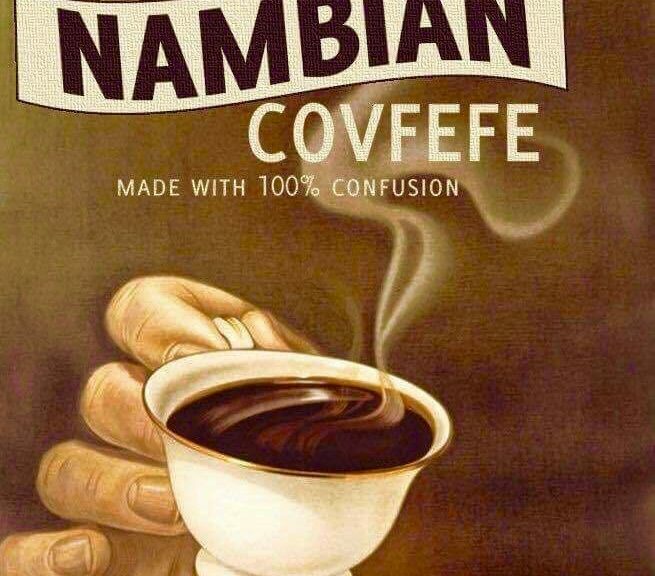 If so, I’ll bet they have great uranium flavored covfefe.